When she first came out to Diane Sawyer in April 2015, Caitlyn Jenner became the toast of LGBT Hollywood. Close to 17 million people tuned in to watch her ABC exclusive, seen as a turning point for the transgender community. But, within less than a year, Jenner has gone from transgender poster girl to a thorn in the backside of the LGBT community. While some activists, including Tur, expressed concerns about Jenner’s ability to become a positive spokesperson for the community early on, an acute anti-Jenner sentiment is now boiling over, expanding beyond those who work in advocacy. 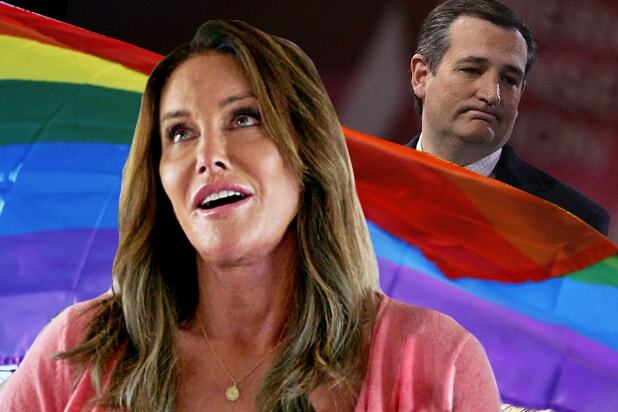 Jenner, a self-described Republican, called Cruz a “very conservative and a great constitutionalist and a very articulate man.” She even offered to become Cruz’s “trans ambassador” (incidentally, when TheWrap called the Cruz campaign to see how the candidate felt about the offer, the response was a swift “No comment”). LGBT advocates had high hopes that Jenner’s public transition would finally shine a much-needed light on the “T” section of their community, often ignored and overlooked even by their gay peers. When Jenner made a surprise appearance during a gay Pride event in New York City last June, she was greeted with fanfare reserved for staunch and longtime allies such as Lady Gaga. But all that goodwill and excitement seem to have evaporated into thin air — as has Jenner’s mainstream popularity. Sunday’s episode of “I Am Cait” drew 745,000 viewers and a 0.3 rating among adults 18-49, down more than 500,000 from the Season 1 finale, and nearly 2 million down from the series premiere. Moreover, many in the trans community believe Jenner is out of touch with the everyday struggles of most trans people, the vast majority of them have less money, fame or public support. Others resent the fact that she hasn’t taken the time to understand the basic issues facing trans people, or a knowledge of the community. On a Season 1 episode of “I Am Cait,” Jenner confessed to not knowing the meaning of “HRC,” the acronym for the largest LGBT organization in the country, the Human Rights Campaign. Also Read: Did This Bruce and Kris Jenner Infomercial Haunt Robert Kardashian? The comment further alienated some members of the trans community, who saw it as a sign that perhaps Jenner is not in tune with their ongoing battle for equality and recognition. There were signs from the beginning that Jenner might not be the perfect role model for the trans community. During her Diane Sawyer interview, she talked about being a Republican, an unusual affiliation among transgender people in the U.S.
Not surprisingly, that didn’t sit well with many in the LGBT community. Others note that expectations may have been too high on Jenner. “While her prominence as a celebrity cannot be understated by any stretch, people have realized that they cannot pin their hopes and dreams for equality to one person,” Moodie-Mills said.